I hear this at least once a week. And it is usually followed by “Don’t cats groom themselves?” I love it when that question is asked. For more than a decade my answer has been: No! Contrary to popular belief, cats do NOT groom themselves. If you licked yourself all over would you be clean? Of course not! You would be covered in saliva. So, no, cats do not groom themselves. But I GROOM cats. As a professional who has spent a great deal of time and money refining the art of cat grooming, I do not consider the act of a cat licking itself to be the equivalent of what I do during a normal grooming session. After all, when a cat licks itself it does not remove its mats, trim its nails, clean its ears, get rid of its dandruff, kill the fleas, or eliminate the grease in its coat. Instead, the cat creates dander on its coat. Dander contains the protein Fel-D1, which is responsible for allergies in many humans. When I GROOM a cat, I get rid of the dander – at least until such a time as the cat licks itself again, thus creating more dander. I have never seen a cat lather its hair up with a degreasing shampoo (or any shampoo for that matter) nor have I seen it turn on its $600 HV dryer and fluff out its coat until it is immaculately clean, mat-free and boasting a beautifully flowing coat. I have never seen a cat pick up a pair of nail trimmers and snip off its sharp nail tips before they grow so long as to penetrate the paw pads. 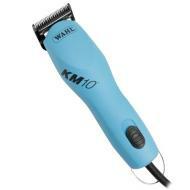 And I’ve certainly never seen a cat wield a Wahl KM10 clipper and give itself a nice clean sanitary clip. So when someone asks, “Don’t cats groom themselves?” I am briefly offended that they could possibly think what I do is akin to what a cat is capable of doing. But then I get over my momentary state of offended-ness and turn the scenario into a learning moment that usually results with the one asking the question becoming my newest client. How is this done? Simply by telling the cat owner what they already know and then getting them to see it as a problem (which it is) before showing them how I can be the solution to their problem. I ask the cat owner if their cat sheds. Unless they have a Sphynx, the answer will be “yes.” (and yes, even the short hairs shed – in fact, they typically shed more than the long hairs do!) Then I ask the owner if they like the shedding. I have yet to meet the person that is happy with having cat hair all over their house and their clothing. Then I ask them if their cat pukes up hairballs. I have yet to meet the person that enjoys a good hairball. Then I ask the owner if their cat has sharp claws. If the cat is fully declawed they get me on this one, but most of the time, they must admit their cat’s sharp claws are an annoyance. I refrain from the next logical set of questions: does your cat stink, is it matted, does it have fleas? Things become more personal at this point and the insinuation can be that they are a bad owner because their cat does have mats or fleas or it smells bad. So I stay away from those questions. At least for now. It doesn’t matter really though, because I have them on the first question. Yes their cat sheds, and the hair is everywhere, and it’s annoying, and yes, they’d love it if something could be done about this. Well guess what? I can do something for them. I can solve this problem. I can eliminate it altogether. And so can you. If you don’t know how, get trained. It is easier than you might think. 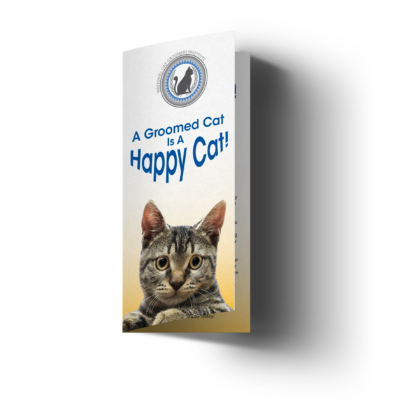 If you are grooming cats already and you know how to take care of each and every grooming need that a specific cat may have, make sure you let people know that you groom cats. Sooner or later you will hear, “But don’t cats groom themselves?” When that happens you will have found your newest client. All too often cats suffer from problems much worse than the ones described above. They become matted, flea infested, stained, dandruff-laden, or pelted. And sometimes they grow mushrooms. When mushrooms get out of control and aren’t removed from the cat’s body, they turn into hideous formations that look more like tumors. A great place for fleas to have a big party, eating the life right out of the cat. And these must be shaved off the cat. But it doesn’t stop there! 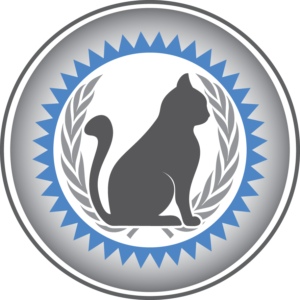 Educating the cat owner about what causes mushrooms and pelts and other disgusting conditions is the first step in prevention. Explaining the difference between a cat’s “groom” (licking itself) and a professional groomer’s groom (bath, blow dry, etc) might be all it takes to turn some cat owners into regular customers. Others may need more of a nudge in that direction, but either way education is key! What causes matting? Greasy skin and dead coat, to put it simply. What will prevent matting? 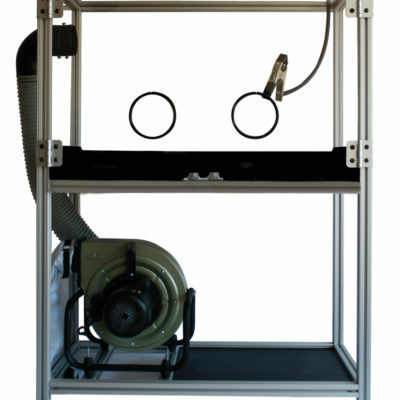 Regular degreasing baths and removal of the dead coat with an HV dryer, to put it very simply. An entire process that actually CLEANS and improves a cat’s skin and coat and solves real problems. An entire process that includes a degreasing bath, a thorough blow dry with an HV dryer, a nail trim, cleaning of the ears, complete de-matting and removal of dead coat, and any trimming or clipping that is appropriate for a particular cat. And who does that kind of work? I do. How about you? 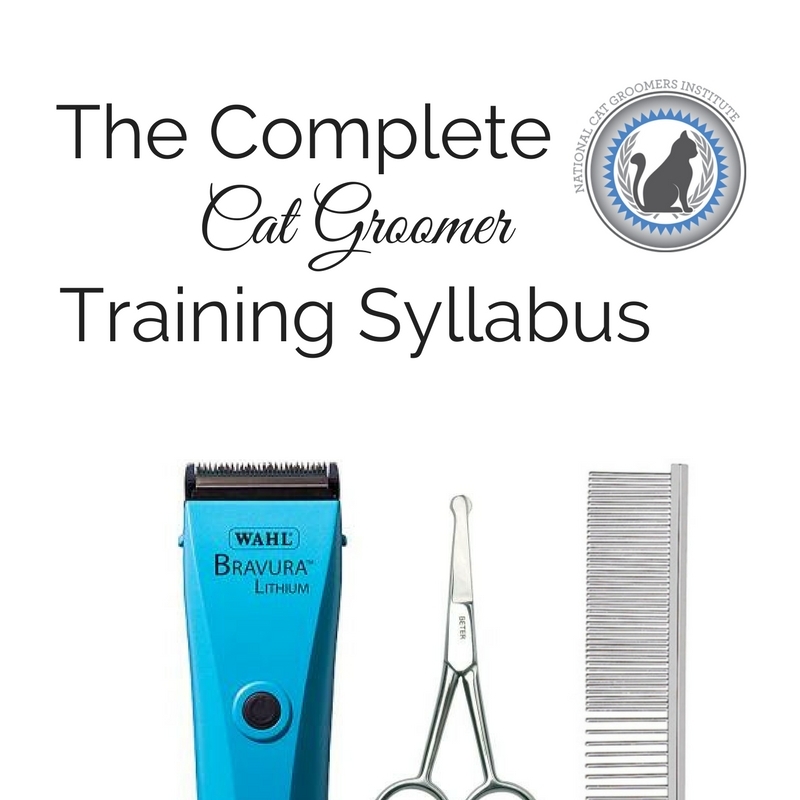 For more information on grooming cats and educating cat owners on the necessity of and benefits of regular professional cat grooming care, please contact the National Cat Groomers Institute at www.nationalcatgroomers.com. 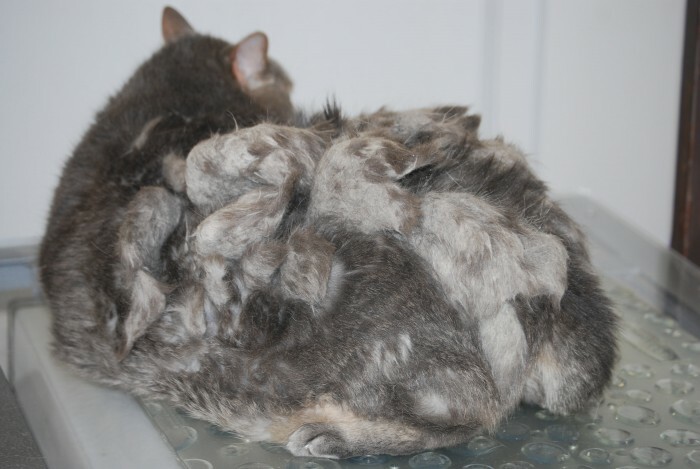 Check out these NCGI great materials and resources to help you with relieving severely matted cats! Also, check these out to help you convert mushroom cat clients into regular grooming schedules! A regular bath and blow dry to get the grease and dead coat out will end the cycle altogether and then no more combing at home is required at all if done on a regular basis. Bonus is that the cat looks, feels, and smells amazing!